Every mental health clinician experiences signs and symptoms of burnout at least once in their career. However, most do nothing about it until their career hangs in the balance. In this engaging seminar, Daniel J. Fox, Ph.D., teaches you how to identify burnout, learn where you stand along this risky path and how to re-engage with your clients and professional environment. Every mental health clinician experiences signs and symptoms of burnout at least once in their career. However, most do nothing about it until their career hangs in the balance. It is not just you or your therapeutic system standing alone. It is stress and burnout that causes this distance. Gaining better understanding and learning the tools necessary to lessen burnout is critical to achieving a long and satisfying career. In this engaging seminar, Daniel J. Fox, Ph.D., teaches you how to identify burnout, learn where you stand along this risky path and how to re-engage with your clients and professional environment. This workshop examines the advantages of building professional alliances, strengthening your determination, and honing your self-protective skills through the use of emotional intelligence in your personal and professional life. 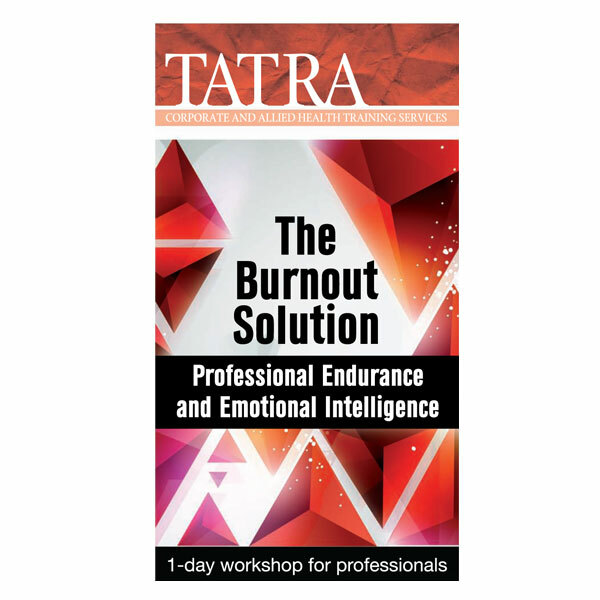 You can reignite the passion, build new alliances, and overcome seemingly insurmountable obstacles to maximize your professional skills and impact by lessening burnout and enhancing your true skills.